Actually, this wish that many businesses dream of is more than possible, you just need to find the right VoIP service provider and hook it up to Microsoft’s IM solution. Despite not being available as a separate application, Skype for Business is a must-have for companies that want to enjoy all the benefits of the regular version of Skype but on an enterprise level, meaning access to important functions like conferencing with up to 250 people, military-grade data security, and full integration with Microsoft Office 365. In fact, if Office 365 Enterprise E5 is purchased, then Skype for Business can be paired with a full-fledged PBX to become a worthy alternative to every VoIP provider out there. However, there are a few catches. For starters, the minimum subscription fee for Enterprise E5 is $35 a month per each user – a price that SMBs and certain enterprises simply can’t afford. And, sadly, taking Microsoft’s PBX out of the equation won’t help either since fully relying on Skype as a primary form of placing and receiving calls is even less convenient. 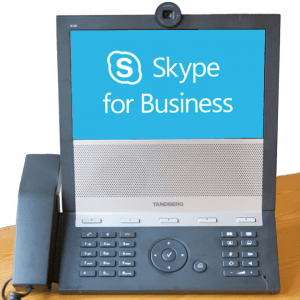 It’s one thing that Skype doesn’t permit calls placed to landline or mobile phone numbers without first buying a Skype subscription, but to receive calls as well users are obliged to purchase an inbound Skype number. Simply put, using Skype for Business as a true cloud phone service will always result in additional fees – which is the exact opposite of what businesses want to do. 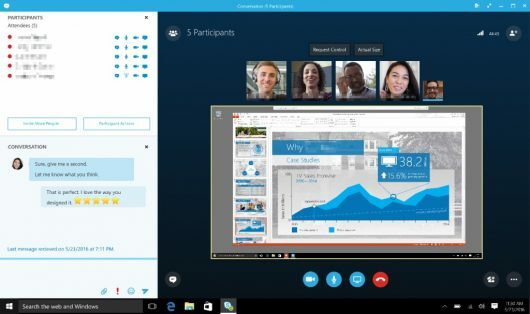 Seeing how Skype for Business as a VoIP service isn’t feasible without spending a fortune, it’s more logical to instead make use of one of the biggest advantages of cloud technology – namely integrating different solutions – and therefore combine Skype features with that of a true virtual phone system provider. Besides, who doesn’t want to enjoy the benefits of low call rates and enterprise-grade telephony features alongside the advanced IM capabilities that Skype has to offer? Even with that said, however, the situation is not as black and white as it seems. The main issue with VoIP services is that they rarely support integration with third-party solutions – and if they do, those programs are usually softphones. 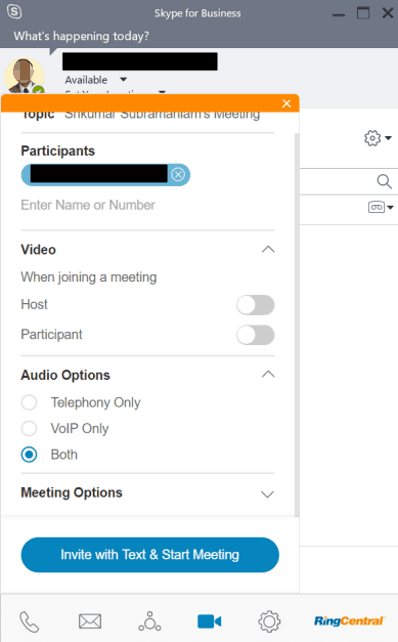 Granted, there is an option to bypass integration via call forwarding as Skype only requires a live phone number to allow outbound calls. 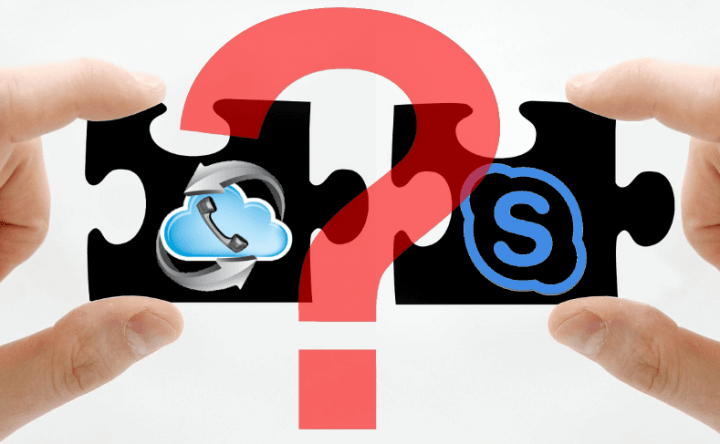 However, to place and receive calls without the need to leave Microsoft’s program you’ll still need to own a Skype calling plan and a Skype phone number – and subscribing to two similar services at the same time is pointless. 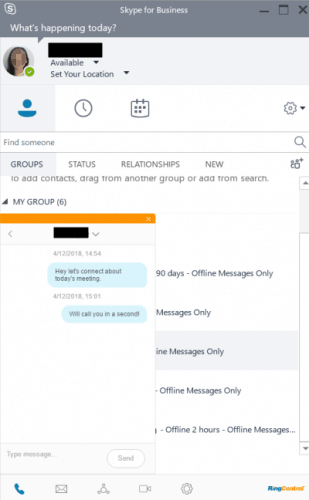 Even if integration with third-party apps isn’t the forte of cloud phone systems, there are solutions that can cut the Gordian knot and merge with Skype for Business without asking for a fortune from users – and that service is RingCentral. One of the best things about RingCentral is that the integration with Skype is seamless since the service displays itself as a handy widget within the program. However, it’s the enterprise-grade features that come with RingCentral that make using it in tandem with Microsoft’s program really worth the investment. For starters, no matter which RingCentral pricing plan is chosen, landline or mobile calls can be placed as many times as you want within the U.S. and Canada using the phone number associated to your subscription. 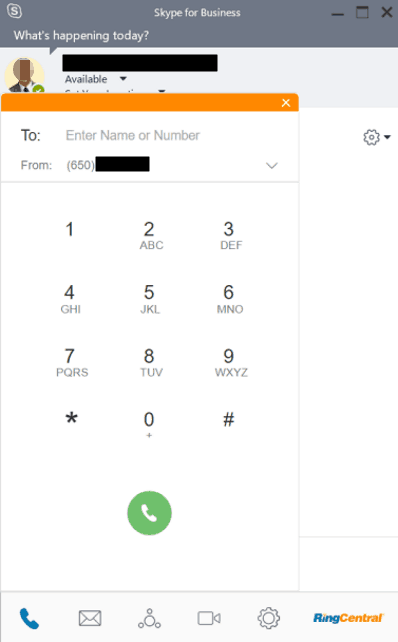 In addition to that, this integration gives access to the countless extras that the VoIP service has to offer, including unlimited business text messaging and faxing, audio conferencing for up to 1,000 participants, voicemails that are automatically transcribed, and even the option to hook up desk phones to the system.